Officially, that joke about Michael Jackson going shopping at K-Mart has become unfunny as Michael Jackson succumbed to the effects of being the king of something yesterday. He was the King of Pop, and it killed him. If you look back through the history of kings, you will see that all of them died eventually for some reason or another. 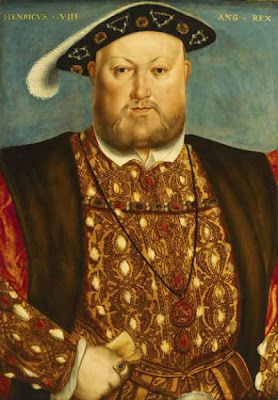 King Henry VIII of England suffered tragically from being married all those times and from eating things like pudding of goose blood. Elvis Presley, of the kingdom of Rock and Roll, died after eating deep fried things and pills, followed by never pooping. And, of course, no amount of moisturizer could have saved King Tut. Beyond that, there is also the fear of being overthrown at any moment. Elvis feared the Beatles. Henry VIII feared James IV of Scotland. And Tutankhamun feared gangrenous leg fractures. And their fears were all completely understandable. James IV started an uprising. Tut broke his leg. And the Beatles were all secretly vampires. And so, Michael Jackson, the King of Pop, has now tragically joined the ranks of the rest of those kings. King George, who lost the U.S. colonies to some rebellious shenanigans. King Lear, who lost all three daughters, his land, and his life. And King Kong, who lost his footing. Michael Jackson, it might be argued, slowly lost his mind. He had more plastic surgery than is probably advisable. He dangled babies willy-nilly. He danced and waved through accusations, trials, and more Dateline specials than almost anyone who has ever lived. But, like most kings, he left his place in history. He was significant. So, maybe he didn't defy the Pope and end up forming a whole new branch of religion or behead anybody. But he sure reigned a lot longer than that loser Edward VI. ah, but who will be his successor? while MJ broke free of the jackson 5 to eventually be crowned king, somehow i can't see one of the jonas brothers being able to sit upon the throne one day. No one replaced Elvis after he died. You should teach a class called "Kings Who Died and Why." There could be sections on things like "The Importance of Fiber, As Well As Not Being a Drug Addict." And "Sleeping in Bed With Boys May Not Kill You, But It Looks Bad." It wasn't his lack of fiber. It was his high level of narcotics in his system. My money's on Stephen King (in the study, with the fireplace poker). Mutiny! Surely not. He usually uses something more unexpected. A croquet mallet. A zombie toddler. Stuff like that. And that's exactly why should teach the class and not me. Don't do drugs, kids.